Choose from Clear Acrylic Pull Tab Boxes with Locks and Orange or Clear Locking Pull Tab Boxes with black Cash Draws. 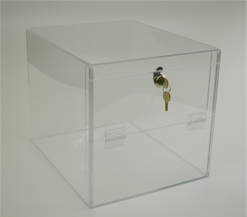 Choose from Clear Acrylic Pull Tab Boxes with Locks and Orange or Clear Locking Pull Tab Boxes with black Cash Draws.1-800-233-0828. 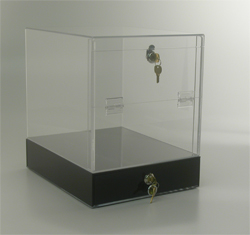 Choose from Clear Acrylic Pull Tab Boxes with Locks and Orange or Clear Locking Pull Tab Boxes with black Cash Draws. Please click on the links below to browse our Pull Tab Boxes. The laws that determine the legality of the products listed on this web site change constantly. It is the sole responsibility of the buyer to determine which products are legal in any given area. © 2015 Kardwell International. The contents of this web site are the sole property of Kardwell International. No part of this web site may be copied or used for any commercial purpose without the written permission of Kardwell International.